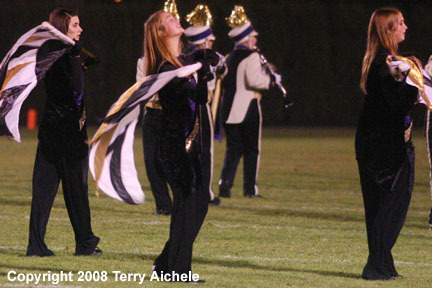 A Hermiston cheerleader looks like she's ready to take off during halftime activities on Friday night. 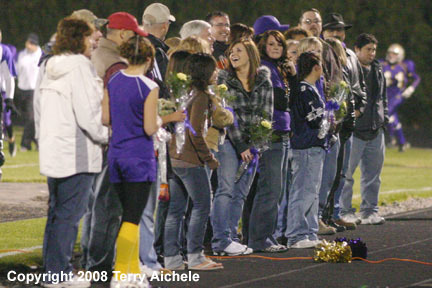 HERMISTON - Halftime of the Hermiston - Pendleton was full of activities on Friday night. The marching band performed. The color guard danced. The cheerleaders showed some awesome lifts and cheers. Seniors in various activities were acknowledged by the audience. 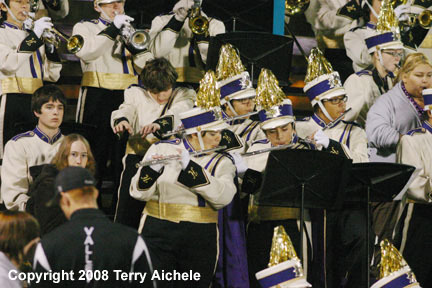 LEFT - The Hermiston marching band just before they left the stands for halftime. RIGHT - Hermiston cheerleaders perform a lift. LEFT and RIGHT - Hermiston cheerleaders perform a lift. 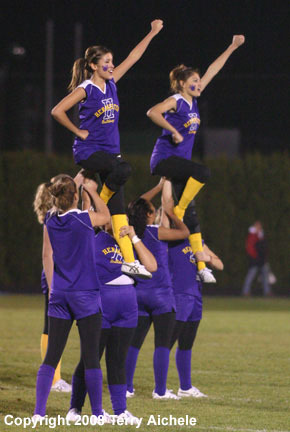 LEFT - Hermiston cheerleaders perform a lift. 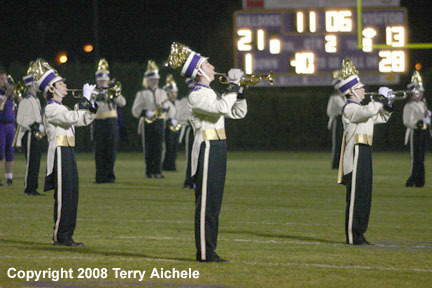 RIGHT - The Hermiston High Marching Band performed at halftime. LEFT and RIGHT - Members of the high school color guard perform at halftime. Hermiston High School seniors involved in a variety of fall activities are acknowledged during halftime at the football game Friday night.